An extremely rare boxed Malay Peninsula portfolio containing a title leaf, colour map and heliogravures after photographs by Charles J. Kleingrothe, set down on 72 loose leaf folios. On the cover of this portfolio book an image of a tiger with its paw caught in a metal trap. 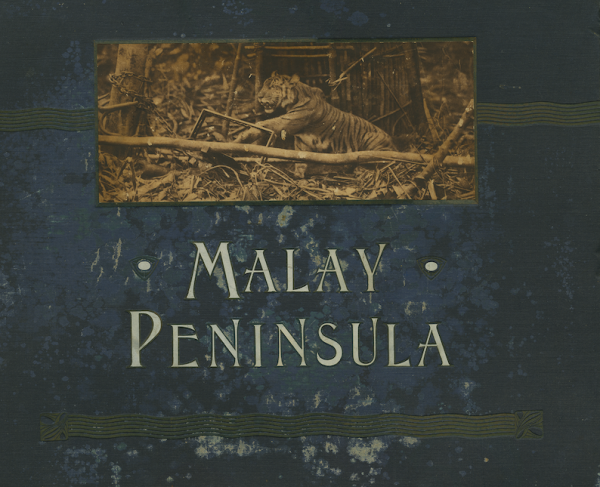 36 – heliogravures from photographs of the Federated Malay States. 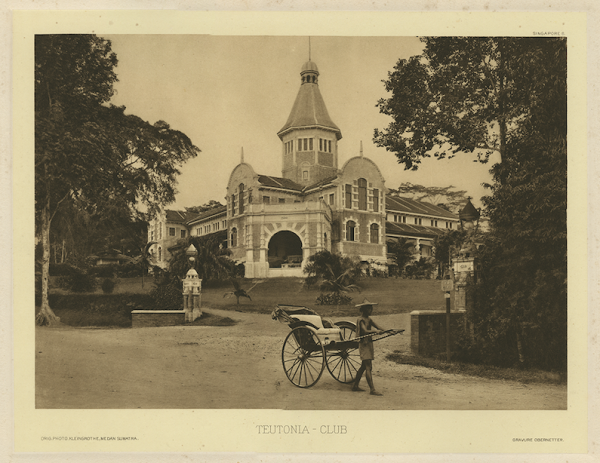 Charles J. Kleingrothe, (1864 – 1925), was a German photographer who worked in Singapore in 1889 and had a studio in Medan, Sumatra between 1889 and 1925. In the late 1860s, Kleingrothe worked for G.R. 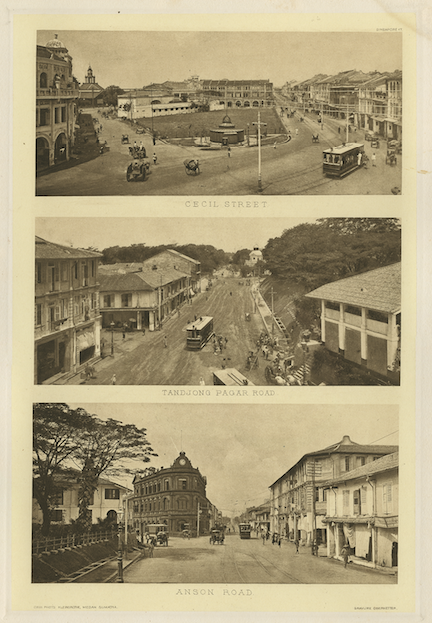 Lambert & Co., a leading photographer of Singapore whose prints had been compiled in a similar though less sumptuous volume years ago. When the plantation economy of Sumatra flourished in the latter half of the 19th century, G.R. 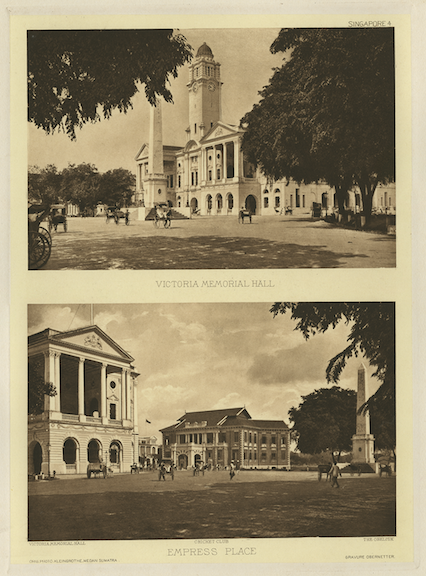 Lambert opened a branch of its studios in Medan in 1888, then part of the old Deli Sultanate, for which Kleingrothe was put in charge. 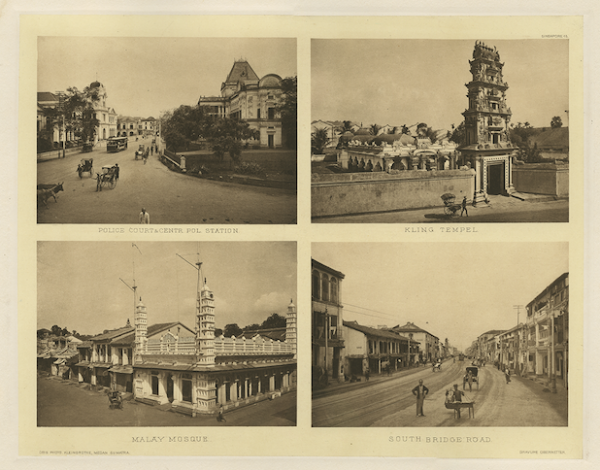 In 1891 Kleingrothe partnered with the Swedish photographer H. Stafhell for ten years and photographed the landscapes and architecture as well as portraits. 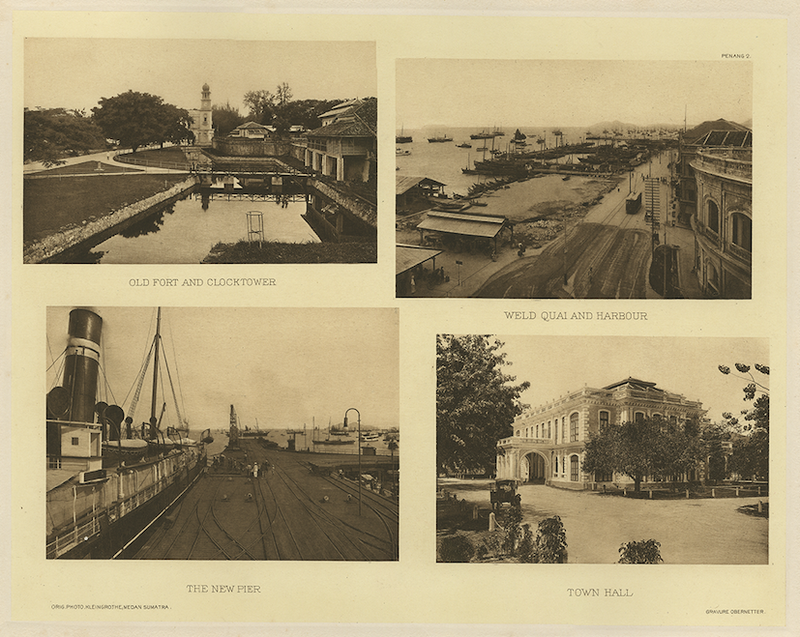 In addition to photographs of Singapore and North Sumatra, Kleingrothe photographed Penang, Malaya for his Malay Peninsula Portfolio. 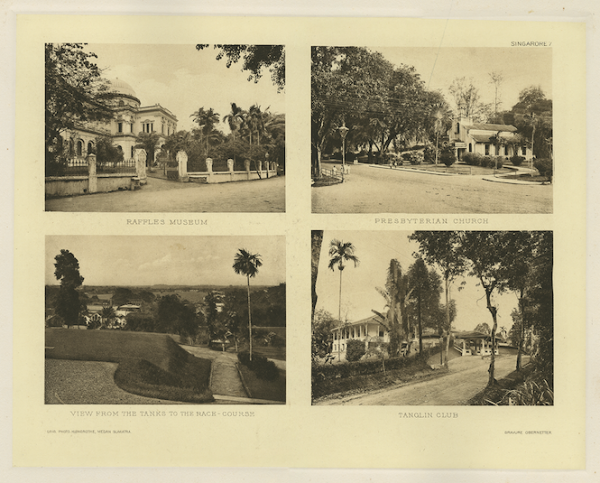 In 1901, the partnership ended and in 1902 Kleingrothe opened a studio on Kesawan Street in downtown Medan and photographed agricultural subjects including tobacco, coffee, tea, rubber and palm oil cultivation, administration and transport. Little biographical information has come to light about Charles J. Kleingrothe, whose images of the Dutch East Indies and British Malaya are now highly sought after collector’s items. 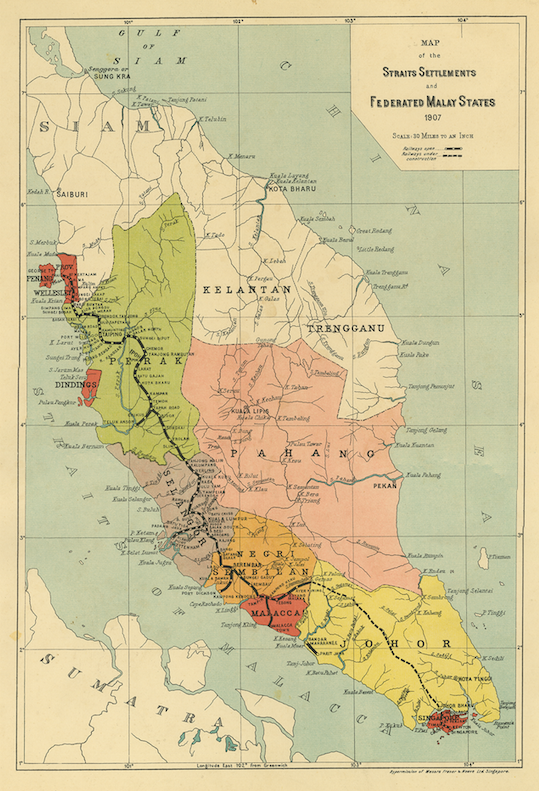 When the Medan branch declined and was subsequently wound up during the Great War in 1916, Kleingrothe too seemed to have disappeared without a trace. 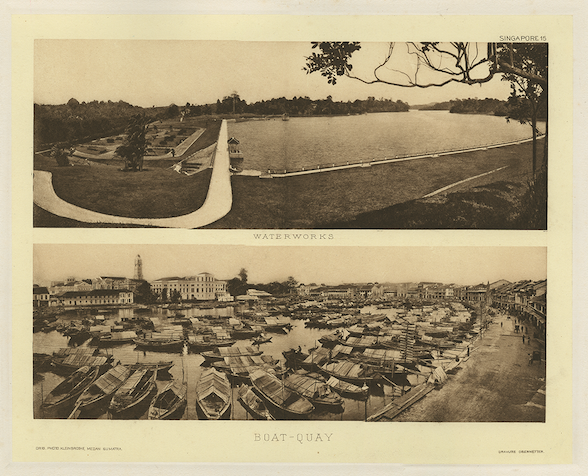 Héliogravure is the oldest procedure for reproducing photographic images. It was first invented in the early 19th century. The process involves two distinct steps. 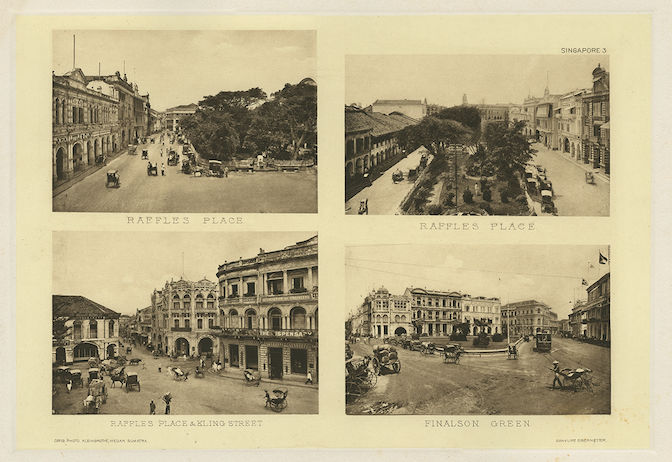 First, in a complex photochemical procedure that creates the intaglio surface, the photographic image is fixed and etched upon a specially prepared copper plate. The finished plate is then placed on a hand-turned press, and the image is printed onto dampened etching paper using special inks. This traditional method of héliogravure is variously called héliogravure au grain or héliogravure à plat. Before receiving the photochemical transfer of the image, the flat copper plate is first carefully dusted with rosin powder; it is then heated, so that the microscopic grains of rosin melt into fine droplets and fuse to the metal. It is this that accounts for héliogravure’s exceptional tonal range, for when the plate is subsequently etched, the acid only reaches the copper through the fine interstices existing between these grains. The transitions from light to dark are thus modulated with extreme precision and subtle nuance. Even when examined under a magnifying glass, a héliogravure betrays no screen pattern, unlike images printed using industrial methods such as offset, letterpress or rotogravure. Héliogravure belongs to the same family of intaglio printing techniques as engraving, etching and aquatint. As such, it requires an especially good quality of thick paper, one that can draw out the ink from the furthest recesses of the etched copper. In like manner, the plate embosses the finished prints, for its form is impressed into the dampened paper as they pass together through the rollers. Printed by hand in limited quantities, each héliogravure is considered an original, and its value is accordingly assured.